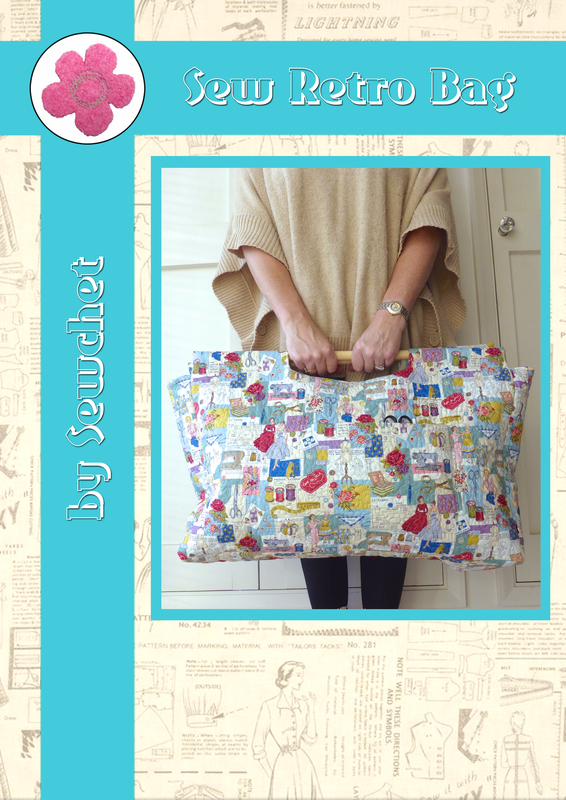 I’m madly excited to tell you that, after two long days of revision after revision, the draft PDF pattern for my “Sew Retro Bag” has finally winged its way to the very obliging Lucie of Love, Lucie. Do you want a cheeky preview of the cover? I designed a smaller version as well, for those who don’t need such a vast bag. 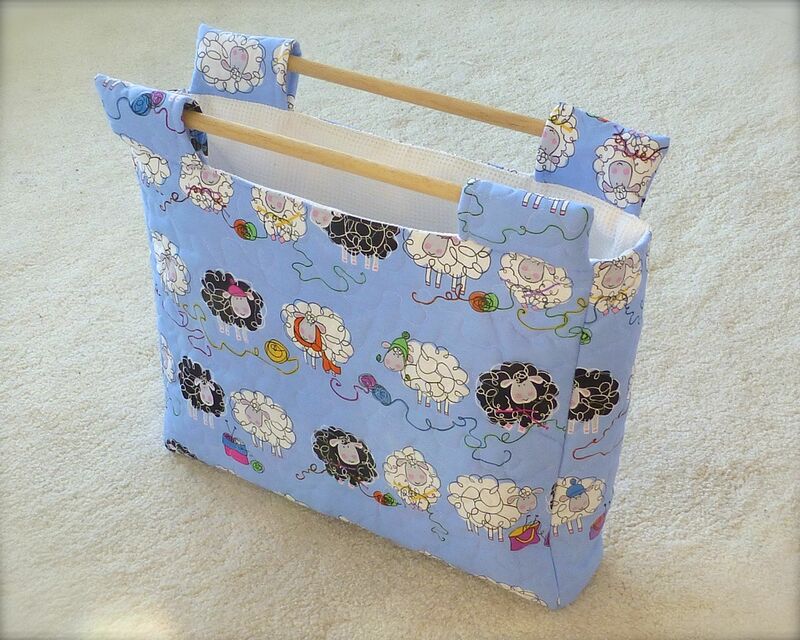 Perfect for yarn lovers carrying smaller crochet and knitting projects, the great “Knitty Sheep” fabric adds a whimsical touch. The fabric was quilted by machine again before construction. I hope Lucie finds the pattern logical and easy to follow – it’s incredibly difficult, after forty years of sewing, to think like a beginner and document even the simplest of steps! 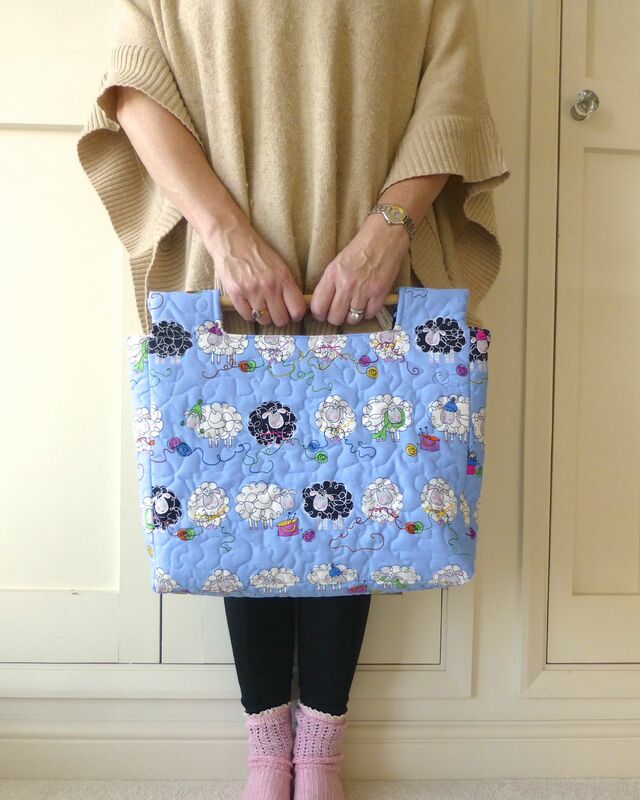 Watch this space for details about how to purchase the finished pattern and don’t forget to pop over to see how Lucie’s getting on with making the sewing bag! Categories: Sewing | Tags: bag, bag pattern, craft bag pattern, crochet bag pattern, knitting bag pattern, quilting, sewing, sewing bag pattern | Permalink. 😮 😮 😮 😮 😮 STUNNING I love both bags!!!! 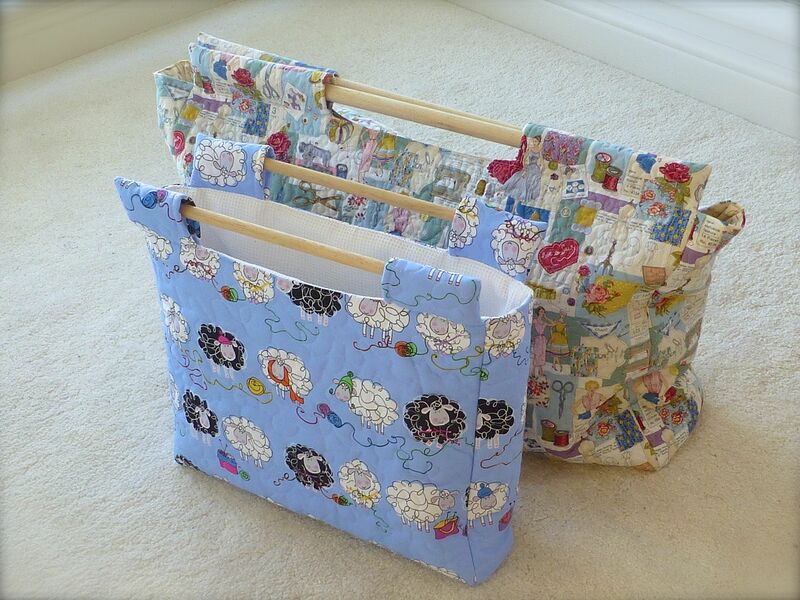 You inspire all my sewing attempts with your beautiful creations!!! In italy they called them emoticons….. should be the same in England…. well, never mind, smile is all that really matters! Thanks Hannah – the fabric is great fun, isn’t it? How exciting! Congratulations on your pattern! I love both of the bags. I can see myself using both of them. 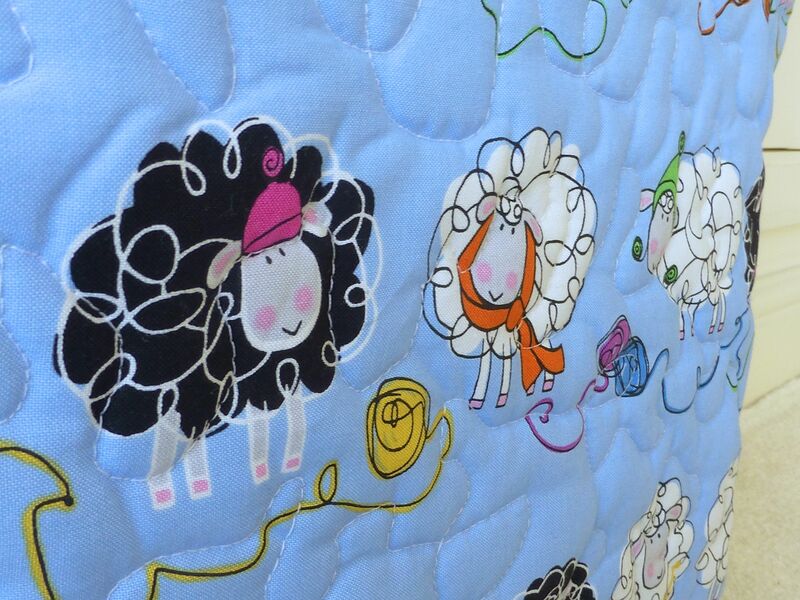 The little sheep fabric is super duper cute! Oh dear.. what’s a girl to do? 🙂 Thank you so much for sharing your talent. 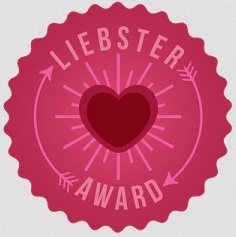 I love reading your blog everyday. You rock! !